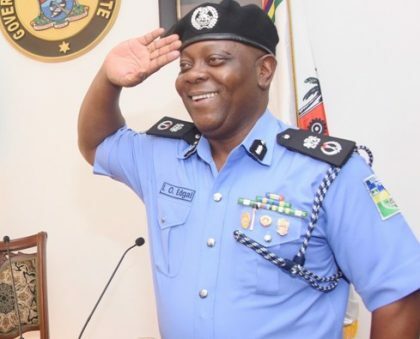 The Lagos State Commissioner of Police, CP Edgal Imohimi, on Wednesday urged students to live a healthy lifestyle to be free from harm. The News Agency of Nigeria (NAN) reports that the police boss gave the advice at a seminar on safety and security organised by an NGO, Child Safety Education and Protection Initiative. Imohimi was represented by the Command’s Police Public Relations Officer (PPRO), SP Chike Oti. The CP said: “We live in a society where children are under more threats. We all have a role to play in matters on personal security. “As children, you need to be security conscious, be aware of your environment and don’t join bad gangs. The panacea to security is living a lifestyle of healthy practice. “Avoid self-inflicted harms like taking drugs. You need to live a transparent, sincere and contented lifestyle to stay out of harms. “You should never give out personal information to strangers, especially on social media. You should be sure of whom you are dealing with and always inform your parents of your movements. “There are lots of unclaimed bodies of children at the mortuary. Probably bodies of children that refused to inform their parents of their movement,” he said. The CP also advised that children should inform their parents of all their activities while he gave out the Police Control Room numbers; 08063299204, 08065154338 to call whenever in danger. Mr. Richard Amuwa, Coordinator of the NGO, said that the initiative to protect children was borne out of the growing threats to children in the society. “It is a pity, considering children’s vulnerability in an unsafe society, that led me to go from preaching safety to children on radio to establishing an NGO for extensive propagation of the safety messages.,’’ he said. Mrs. Tanwa Ashiru, a security expert, also advised children to stay out of trouble and not resolve to fight at every instance. “You should always stay calm, be kind, be fair and always do the right thing. You don’t need to fight, just say how you feel with kind words or walk away whenever you are angry,” she said. A representative of the Lagos State Security Trust Fund, Mr. Degbola Louis, urged children to speak with their parents at all time. “Children are critical in the society, they are the most vulnerable and we want to make them know that they have a role to play. “We want to make them know that there are simple things they can do like providing information to keep them safe. They need to talk to their parents at all times so they can be monitored,” he said. NAN reports that Providence High School, Ifako International Secondary School, Riverside School and Purple Stars School, among others, attended the seminar.